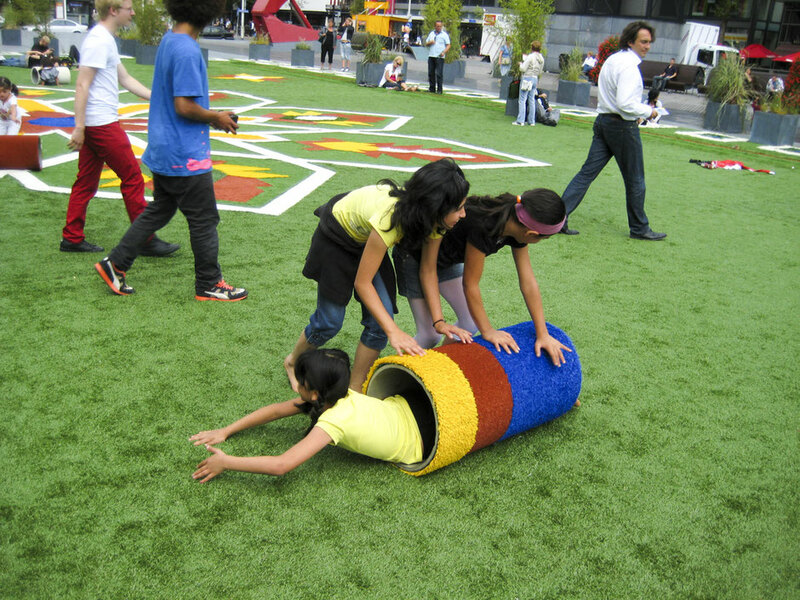 Hop on board the Flying Grass Carpet and join it in its quest for adventure and urban leisure. 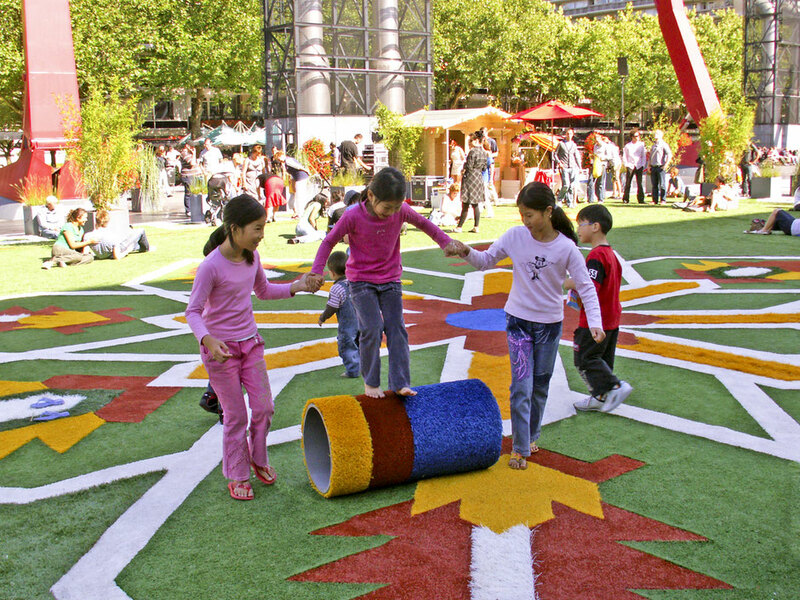 Studio ID Eddy and HUNK-design have designed the Flying Grass Carpet; it’s an instant park that can be unfolded in any city. 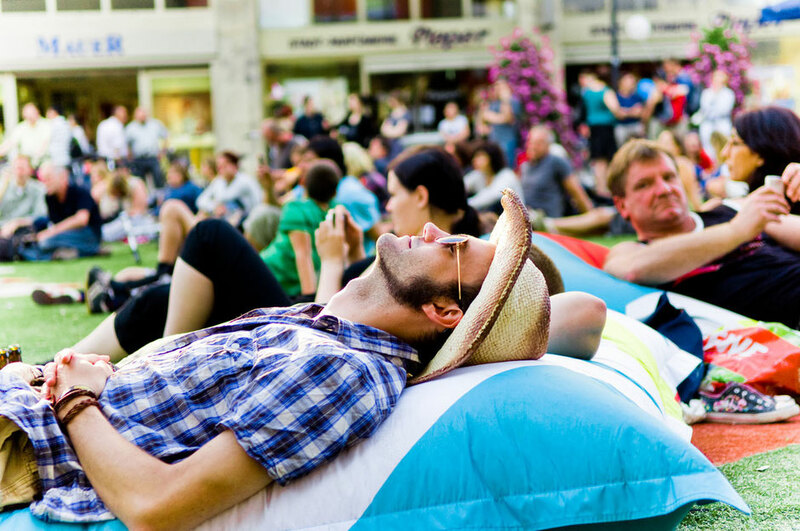 This way bringing a unique experience of fun and relaxation that can be shared worldwide. 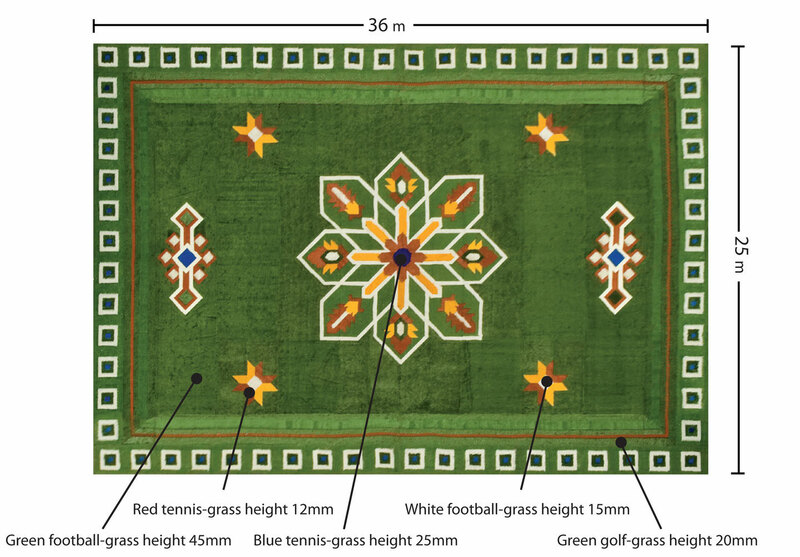 The Flying Grass Carpet is designed to look like an immense Persian rug with its pattern executed in different types of artificial grass, giving it a typical look and touch. 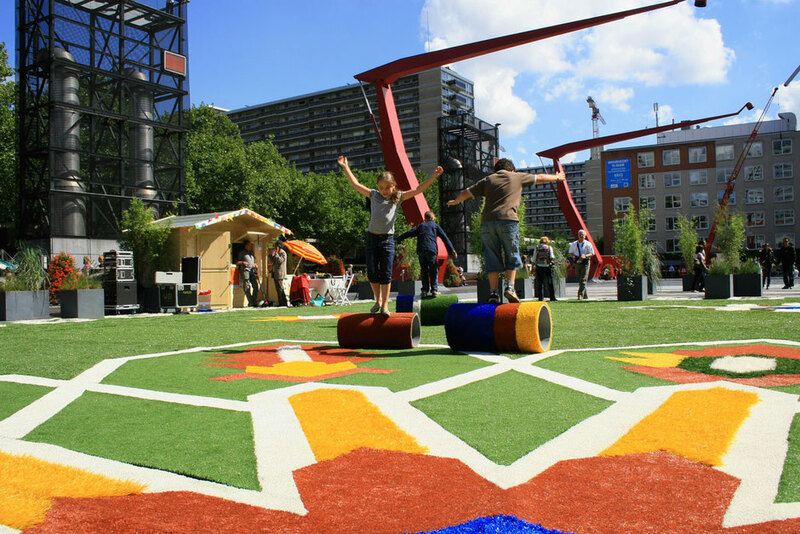 The design consists of different parts that can be adjusted to any location. 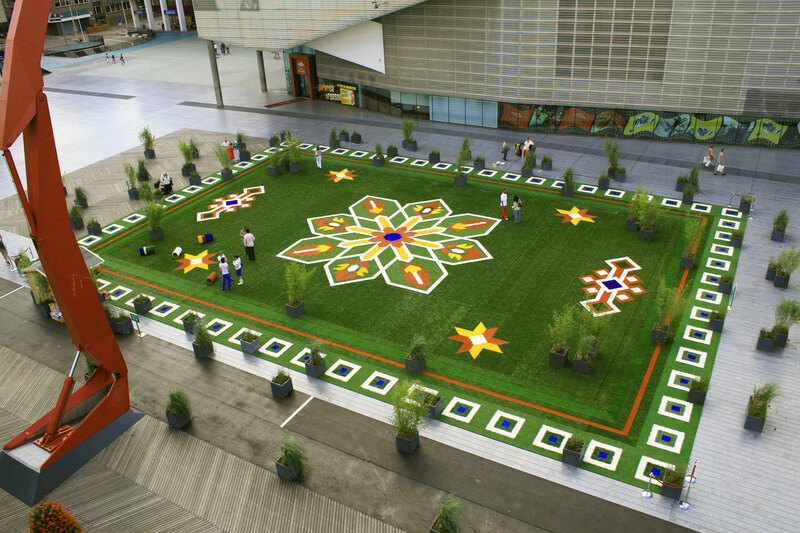 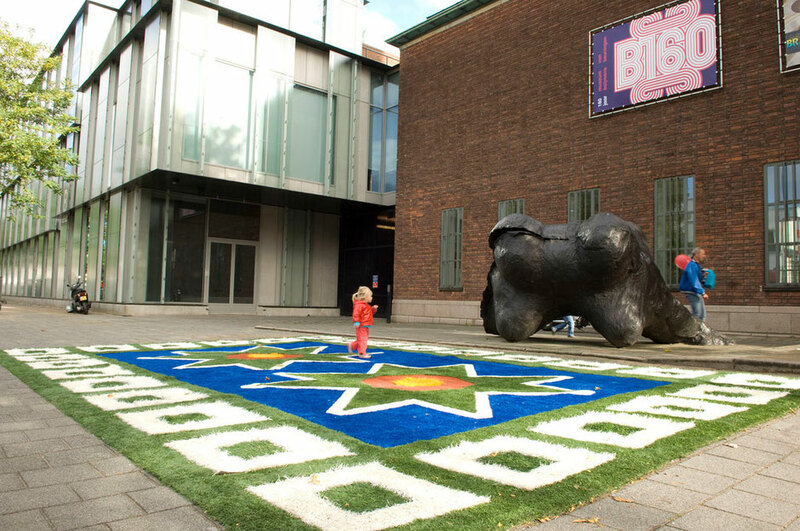 The size of the Flying Grass Carpet can be altered from 18 by 22 meters to 25 x 36 meters.Landed in a city the Flying Grass Carpet is ideal for all kinds of events. 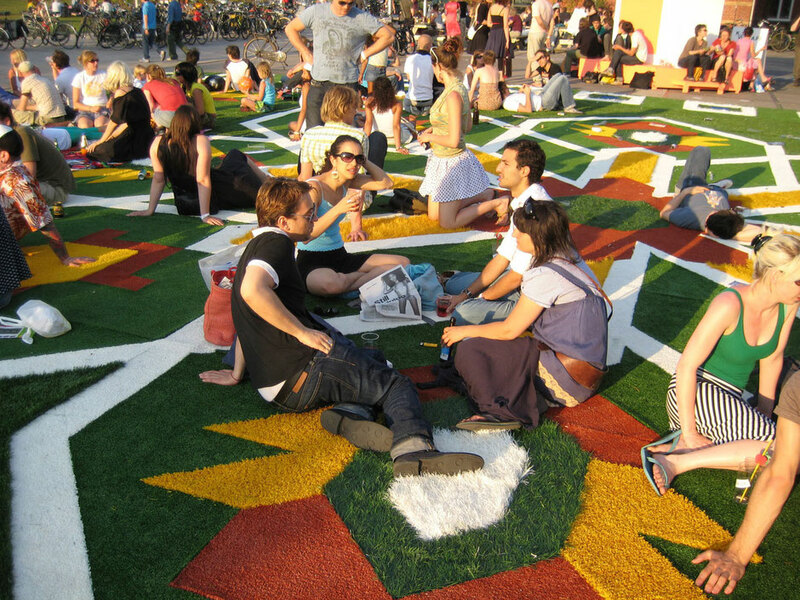 As with ordinary parks, people can lie down on the grass or play ball with their friends. 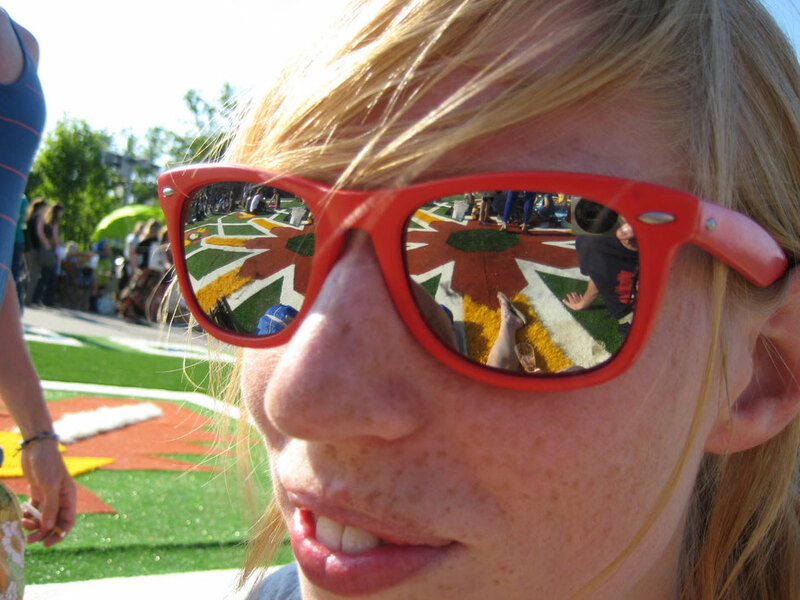 But its attractive appearance is also perfect for special events. 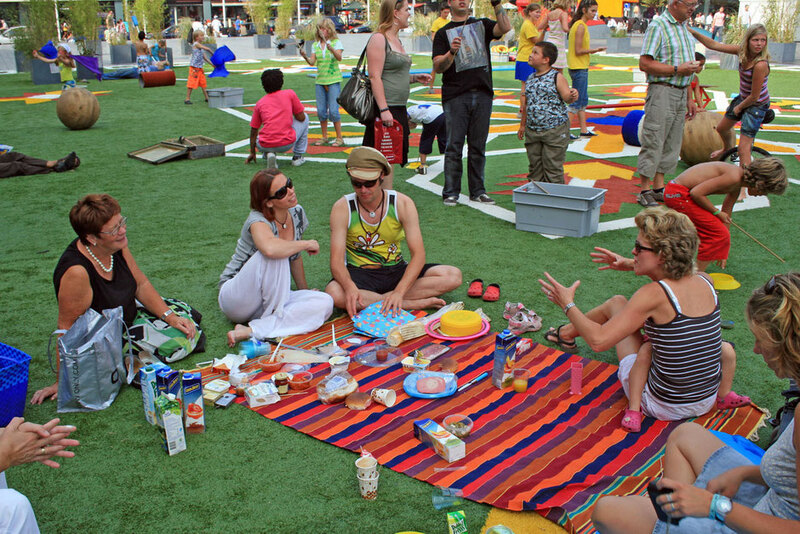 It’s an excellent spot to have a Frisbee tournament, a city picnic and all sorts of contests and performances. 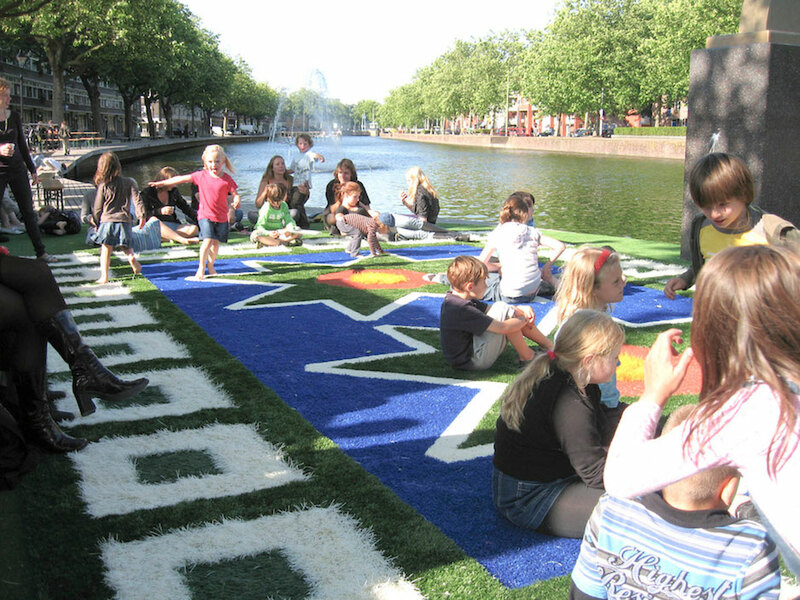 Now that city centres all over the world are rapidly being privatized, the public domain is under pressure and is loosing its quality.The Flying Grass Carpet delivers a beautiful alternative for city dwellers to enjoy the city. 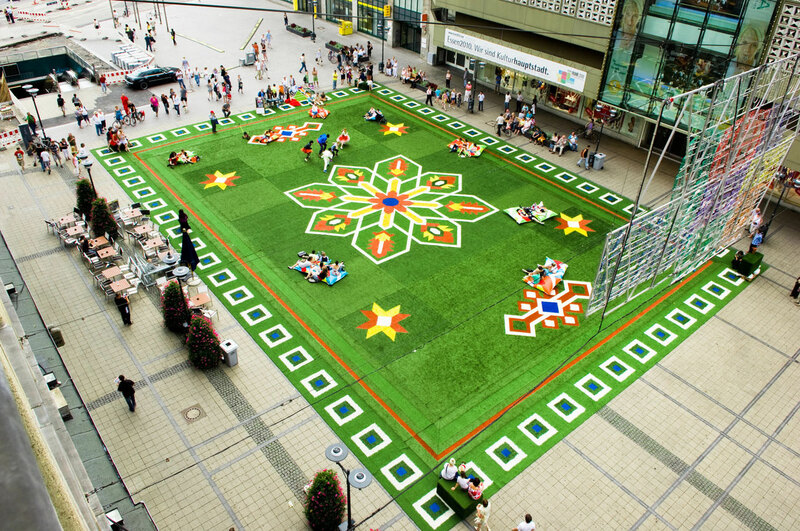 It brings instant cosiness and a green leisure feeling to any city where it lands. 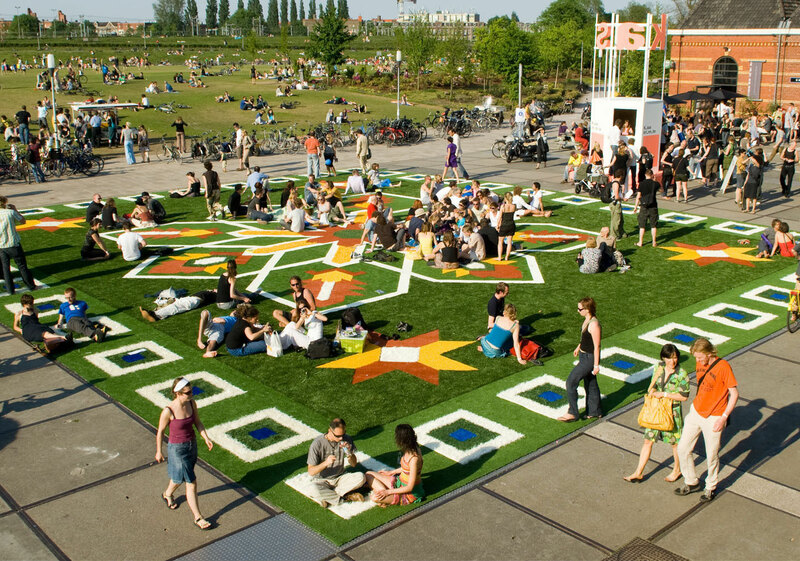 The combination of green, beauty and activity makes the Flying Grass Carpet irresistible! 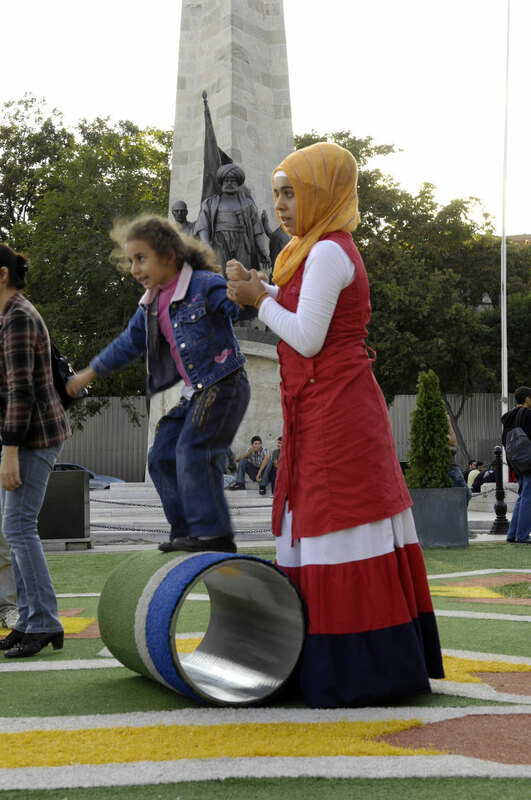 The Flying Grass Carpet Junior is a fact. 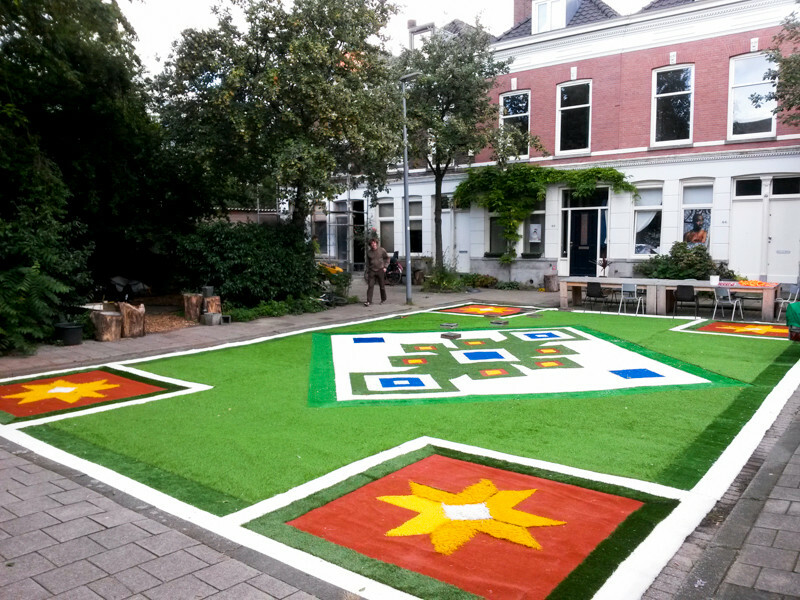 It's 126 m2 (9x14 mtr). 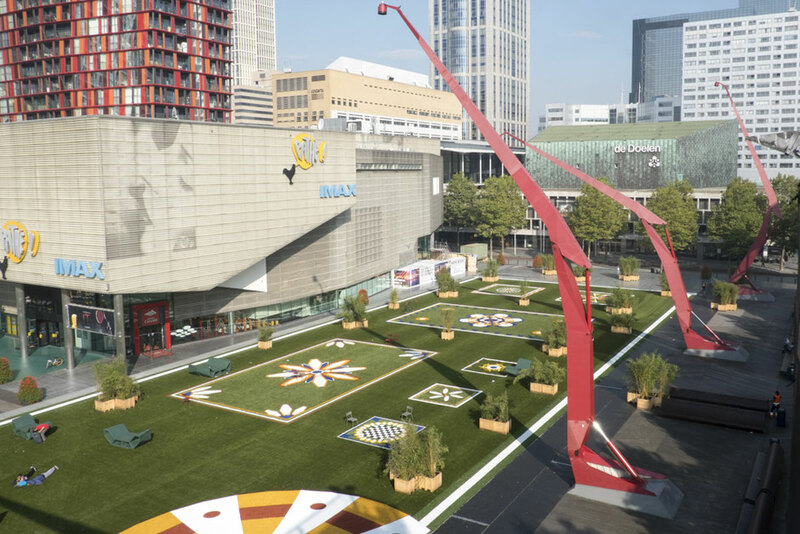 We're ready now to bring instant parks from 45m2 to 920 m2!